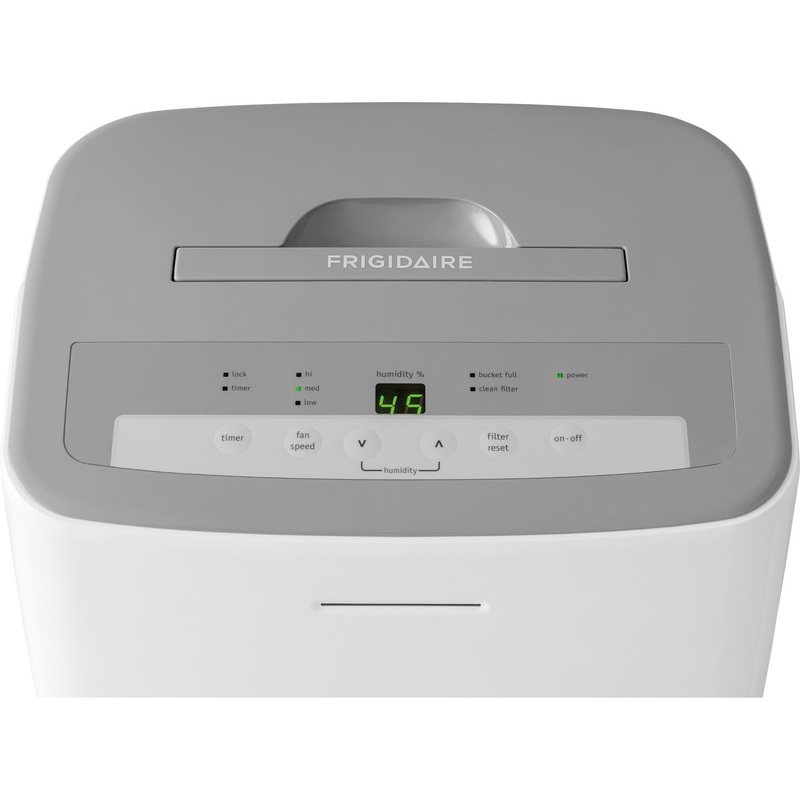 Improve your home environment and your health with the dual-purpose Frigidaire FFAD3033R1 Energy Star 30 Pint Dehumidifier. 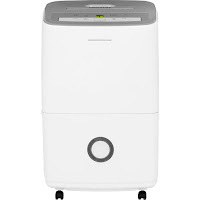 The Frigidaire FFAD3033R1 Dehumidifier not only protects your home from mold and mildew caused by excess moisture but also incorporates an Effortless Clean Filter (removable and washable) to reduce bacteria and other airborne particles to make the air more breathable – ideal for allergy sufferers! 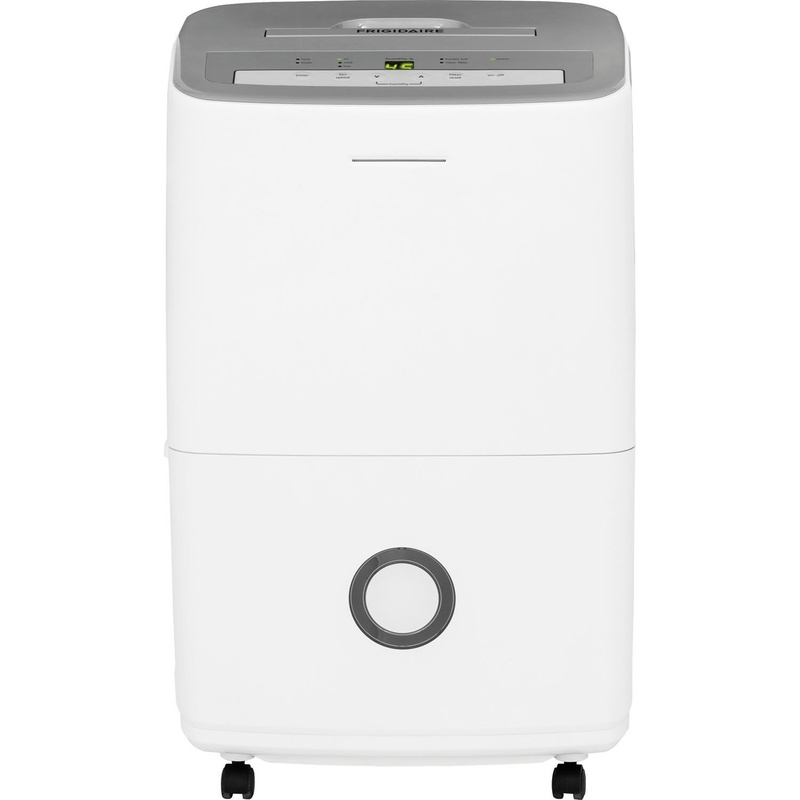 The Frigidaire FFAD3033R1 allows for up to 30 pints per day (17 liters) dehumidification (i.e. it is capable of removing 30 pints of water from the air in 24 hours). It’s easy to use with a top-mounted control panel with touch-button controls, 3 speeds, digital humidity readout, 24 hour on/off timer and control lock. The dehumidifier’s Effortless Humidity Control allows you to control the exact % of humidity required for maximum comfort. 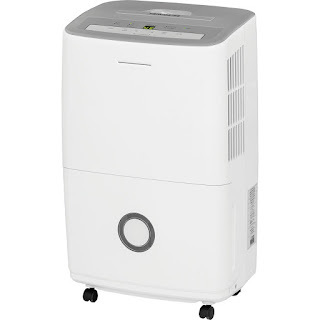 The Frigidaire FFAD3033R1 Dehumidifier features an easy-to-access front pull-out water tank with 7.6 pint capacity. 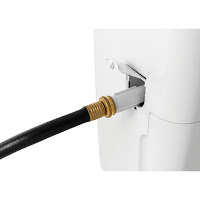 The bucket features a splash guard and carry handle for easy emptying. There’s no worry about it over-filling as the dehumidifier features a Full Tank Alert and Auto Shut-off. 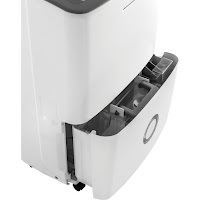 Alternatively, you can use this dehumidifier on Continuous Operation (no need to empty the bucket) provided that you can locate it near a suitable drain – simply attach a standard garden hose! The Frigidaire FFAD3033R1 30 Pint Dehumidifier is capable of operating at low temperatures down to 41 degrees F. It’s Energy Star Certified to help save you money and is also AHAM and UL/CUL certified, ensuring safe and efficient operation.